Two soldiers brutalized a physically challenged man in South East Nigeria for daring to wear camouflage shorts. The video went viral and understandably drew the ire of the public. At the end of the day, the erring men of the Nigerian Armed Forces were not only prosecuted, but indicted, sentenced to do some time in prison and also demoted. It was a clear case of justice being served. The rights of a helpless citizen had been infringed, and without prolonging the matter, the right thing was done by bringing the perpetrators to book. Beyond the fact that justice was swiftly served, and the right of the common man was upheld, the incident underscored the importance of technology. Were it not for technology displayed in form of an instant video recording with a smart phone, it’s highly likely that the errant soldiers would have gotten away with it. The #FreeAudu advocacy on Twitter following the arrest of Chocolate City CEO, Audu Maikori is also a good example of how technology, and social media in particular has aided in projecting the voice of the common man in modern day Nigeria. Not only did the hashtag go viral quickly, it also led to the prompt release of Mr Maikori. 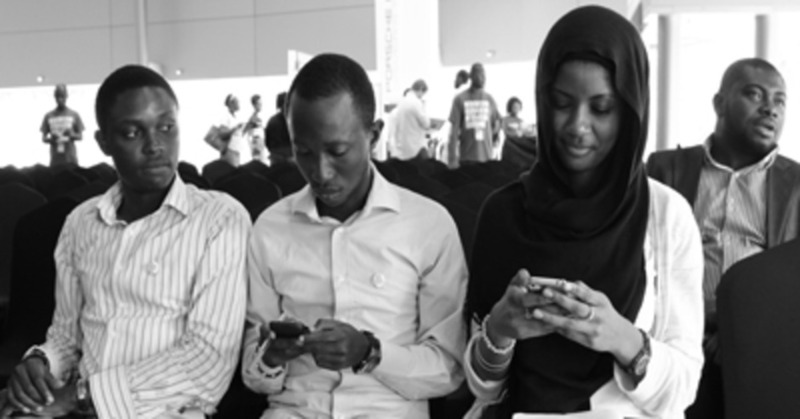 The advent of ICT has boosted the interaction between government and the citizenry in no small measure. Gone are the days when information could only be passed via TV and radio, which are traditional forms of media. Traditional forms, which are often easily frustrated by epileptic power, supply in this part of the world. These days, information dissemination and feedback from the leaders to the followers and vice-versa have become instant. On Twitter for instance, many residents of Lagos can interact with the Lagos State Governor, Akinwunmi Ambode and air their opinion on matters affecting the State through the @AkinwunmiAmbode handle. The same applies to many other government officials. Through social media, public officers in different spheres of government can now feel the pulse of the people directly, as opposed to depending on their aides and assistants who are often predisposed to watering down the feelings of the people. The evolution of technology and the magnitude of what it can achieve is one of the reasons why government needs to embrace the use of ICT more in enhancing its relationship with the general populace.